2.8 – Perfect for Bloggers, Web Designers, PLR Sellers…Anyone Can Use These! This is serious people! Using images in our website content or products requires us to know our legal rights and implications! I have been wanting to write this post for a very long time. Every day as a web designer, and a PLR seller…I see people making mistakes, simply because they don’t understand. Disclaimer: I am sharing everything I have learned over the past 10 years with you. I am not saying I am right or wrong…however, I have contacted many, many stockphoto sites, and this is what I have learned. If you have different thoughts or opinions, I would love you to share them with me in the comments below, as I am happy to research further if people have questions! If images are not used correctly, you could be sued for violation of copyright and potentially even lose your business. This applies to little tiny bloggers, and/or big business owners. Saying, “I’m sorry, I didn’t know” or “Oopsie, my bad…” doesn’t get you out of trouble. Have you heard the saying, “Ignorance is not an excuse”? Well, it’s not…so don’t use it. The misunderstanding out there of what you can and cannot do is doing people’s heads in. Well I am going to write this as simply as I can (for website owners and product sellers) and explain what you can and cannot do, depending on your business. There are no affiliate links in this article, just the facts! So I am going to cover who can use what stock sites, and why! 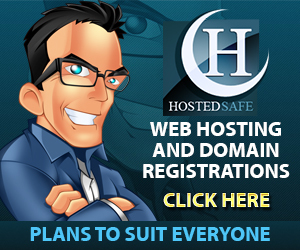 This license is for website owners, NOT PLR sellers! So, I can go to BigStock and buy the photograph of my choice and post to my blog…ONCE. I cannot use it over and over again, without buying another license. That’s fair…the photographer is trying to make an income…so don’t steal from them. Here’s an example of what you see on a stock site like BigStock (which is my favorite site for my niche websites). So you can buy the image, download it and place in your blog post. Now, if I want to use it in a product that I am selling, for example a website design theme, or a T-Shirt, an eBook, I have to buy the Extended License. This gives me the rights as a website designer to use in products I am selling to the end-user! So I can buy an extended license for any images…and sell my websites to you with a personal use license. This license DOES NOT apply to PLR Sellers! I contacted a few stock photo sites (one of which was BigStock) and presented my scenario on how I wanted to use their images. B) I was passing on a license for my buyers to resell the product. I was advised that in this instance my purchaser also required an extended license, to be able to sell their product. How confusing! So basically my PLR license wouldn’t cover my customer’s rights to resell the product containing their image. As a PLR seller, the extended license covers me…but not my customers who may want to sell the product. If you want your own clarification, just contact the stockphoto website, but explain what you want to do carefully. Many didn’t quite get what I meant to start with. I had to explain what PLR was to some! So as a PLR seller, if I really wanted to use that picture above…I would have to spend 50 credits for an extended license, but provide each and every customer (who will then become a seller) with their own extended license for them to sell their ebook. Does that make sense? The seller of any product has to be aware of their license obligations! Sorry for all the bolding, but I want to be extremely clear on all of this and not have you miss anything. YOU CANNOT: Use an Image for multiple uses. Each separate use of an Image downloaded hereunder requires a separate payment. For example, if an Image is used as part of a website design and in a business card, each of those uses requires its own Image license which must be paid for each use. This is accomplished by downloading and paying for the Image as many times as necessary. Using an Image in multiple products without purchasing separate licenses for such uses is a violation of this Agreement and might expose you to liability for copyright infringement. This one gets PLR sellers confused too. ‘Royalty Free’ for commercial use…doesn’t that mean they’re safe to use? Yes, it does…BUT…we are selling a product, for others to resell as their own, so we have to be aware of the final implications to us and our buyers if we use them. Here’s a good example, GraphicStock. Now, as a PLR seller I was looking for beautiful images I could use…and GraphicStock is a Royalty Free Stock Site. There are many sites like this! I pay $99 a year to use their images…and as many as I want. However…I read their license and thought…hmmm…I better contact them and make sure I am allowed to use their images for you, my customer! Well, they told me I can use them in my products for sale…IF…we don’t supply the source files, and we make sure the images we create are flattened. That means the individual photos from their site are not able to be extracted from the final product to be used on their own. So if you want the source files for our infographics, we can supply them to you, only if you have an account with GraphicStock. I have it all in writing from them. I see some PLR sellers use photos from these types of sites…and unfortunately they are not aware of the implications….so I hope this article is helpful for all the PLR sellers too! That’s why you don’t receive a source file with our infographics, because occasionally we may use one of their beautiful images and we are abiding by the rules! So we have a rule in our business, no source file goes with the super-size infographics. If you ever want the AI file…just show us your GraphicStock license, and we”ll give it to you! – Perfect for Bloggers, Web Designers, PLR Sellers…Anyone Can Use These! Images and Videos on Pixabay are released under Creative Commons CC0. To the extent possible under law, uploaders of Pixabay have waived their copyright and related or neighboring rights to these Images and Videos. You are free to adapt and use them for commercial purposes without attributing the original author or source. There are many sites you can use as a blogger, however, the purpose of this article was to explain the licenses applicable to bloggers, web designers and PLR sellers. It doesn’t matter who you are in business, protect yourself and/or your customers. Super Super article! Thanks for providing it for our clients and PLR partners. Thanks Susan! I have a GraphicStock license as well, and have always been a little confused about the exact uses allowed under their license. I appreciate you going to the source to get an answer! Thank you very much for the post. I was about to search out images on the internet for blog post but you clarified my usage options. Great! I’m glad it helped Andrew! Excellent article. Easy to see you’ve done a lot of research on what can be a very confusing subject. We all need to understand that’s it’s not only a matter of doing what is right or ethical, but that misusing stock photos can get us into a lot of trouble. It doesn’t do any good to stick our heads in the sand and say no one will ever notice if we don’t follow the licensing requirements… it’s a gamble with our money and our reputation. Again, Thanks for detailing what each license allows! Thank you Tish…it was my pleasure to provide this information! I always get very worried when I see someone not know the potential risks…and yes, it is a huge gamble hoping no-one will notice just one little photograph. What about these Fire-Sales or PLR sales? I just received an email offer the other day (but did not purchase even though it looked very attractive.) They were selling me something like 1000 photos of different venues, locations, animals, adventure, places etc. in which I could use anyway I want because I would have the license once I purchase for $19.99. Once you purchase you receive a zip file to upload all of these images. They also offered several bonuses: Such as background GIF animation, Green screen background, and even some cartoon characters. Is this legal? That’s a great question! Now it depends on the vendor…and their product. I didn’t see the offer…but I did see an offer for something similar a few months back and purchased the pack “assuming” they had taken all the photographs themselves. Upon purchase and downloading I noticed that I had already used some from Pixabay…which I can download for free! Well, the pack wasn’t where I could search for my needs, whereas Pixabay is excellent…so I asked politely for a refund, which I never do with PLR. He was happy to refund, so I was happy too. Plus, I didn’t know what sites the photos had been taken from and the licenses of these sites. Again, I contacted Pixabay in my ‘non-knowing’ license days and they said they don’t like people selling just image packs. They can be used in PLR products as we do, but as they give a free license for use, they don’t expect people to turn around and resell them. So, if you like them, I would contact the seller before purchase and ask some questions. Did they take the photos themselves? If they did, perfect! They are doing the right thing and giving the right license to their own product. If not, where did they get them from? I would be worried in this instance. Many, not all, PLR sellers are just as confused as to what they can and can’t do. As always, “buyer beware”! I want all my customers and clients to be aware! Again, thank you for asking and congratulations on being aware of your legal obligations! Thanks Susan, like many I get quite confused with what I can/cant do. This has helped tremendously, will definately share! Thank you Jenny! 😀 If you have any questions anytime, please just ask and I’ll either answer…or do some checking! It is important to understand the distinction between all the different CC licenses. CC0 is close to public domain, but not completely (the copyright still exists in CC0 but not in PD for one). But there are many CC license levels, some which forbid commercial use, some which require attribution and some which forbid derivative works. Not to mention various combinations. Also, with stock photos, even Extended licenses will sometimes have limits on the amount of copies that you can sell of your finished product using the image. Another issue (which you alluded to) is model releases. Recognizable people, buildings, art, logos, etc. cannot be used without permission (i.e. release) even if the image is not copyrighted. So CC0 images of people still need to have a model release to be used for ads, etc. Yes, Bill you are correct! Another reason why I love sticking to the few I know inside and out. Thank you so much for sharing more important information regarding the image licensing rules. Thank you for this wonderful article on use of photos. I have found it difficult to understand previously, but you have made it easy!! I will go through my materials and make sure I am using the right photos. I’m happy you found it helpful Fran!